The band was conceived in Buffalo, New York during 1988 in the wake of the break down of two antecedent acts TIRANT SIN and BEYOND DEATH. Recording in Niagara Falls the band's eponymous five song demo, opening with 'A Skull Full Of Maggots', soon secured a recording contract with Metal Blade Records. 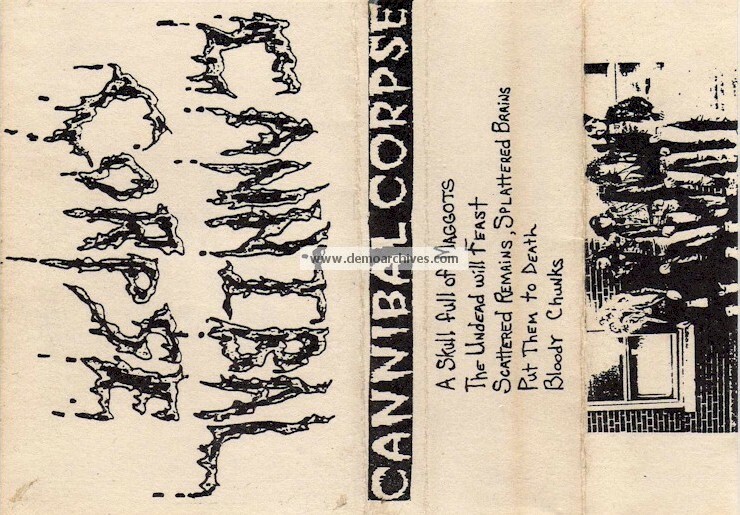 The CANNIBAL CORPSE line-up comprised of vocalist Chris Barnes, dual guitarists Bob Rusay and Jack Owen, bassist Alex Webster and drummer Paul Mazurkiewicz.